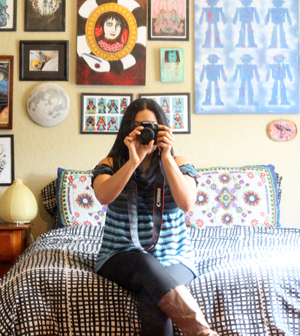 Thrifters are adventurers. We're treasure hunters, always on the prowl for new quarry. We haven't lost touch with that childhood sense of wonder and discovery. Duck Hunt & Then Some! 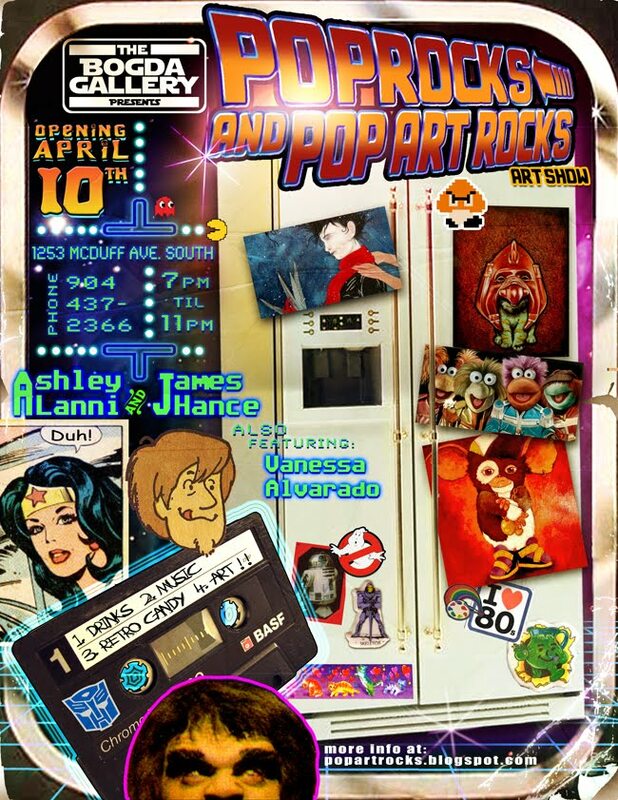 Tomorrow I'm taking part in a Childhood Nostalgia themed art show (Poprocks and Pop Art Rocks), and one thing we love about throwing this show is the way it makes onlookers giddy. People laugh, squeal, and sometimes even jump up and down looking at their favorite childhood characters again. Last night I tried to finish up more pieces for the show but I think I was finally completely spent. For months I'd come home from the office only to spread out my craft supplies and work on more creations until I passed out. Somehow I squeezed my move to Riverside in amid the chaos. 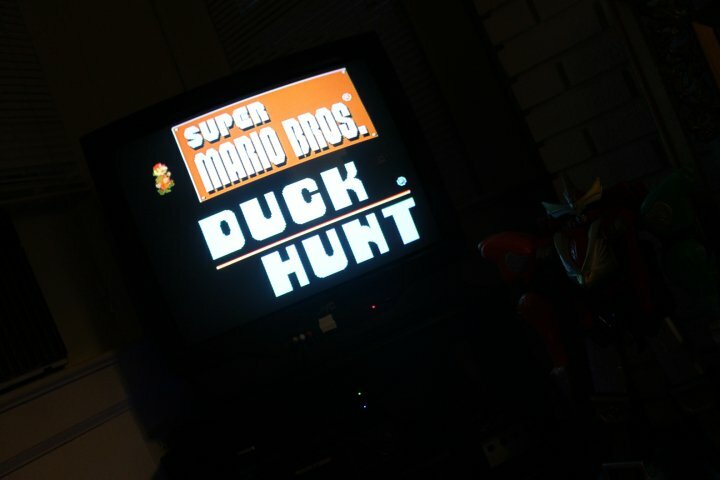 To unwind, I unpacked my Nintendo parts and indulged in Super Mario Brothers, Duck Hunt, and Tetris last night. It felt good to forget responsibilites and play like a kid again, even if it was only for an hour or so. 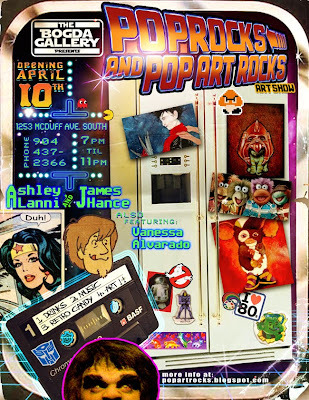 This Saturday all the big kids (if only at heart) are gathering in Riverside. We're giving out tons of retro candy, watching 80s cartoons, and we're trying to hook up the Nintendo to play Duck Hunt. If you're in the area, come out and play with us!